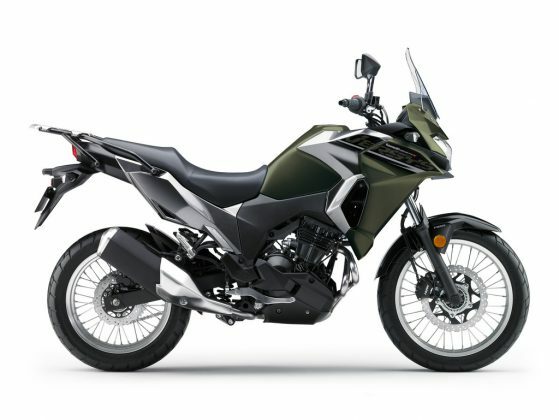 The VERSYS-X 300 is an adventure-styled touring model that builds on the any-road any-time performance of Kawasaki’s VERSYS models by adding increased capability on unpaved roads. At 300cc, the VERSYS-X 300 is the smallest-displacement model in the touring category, and the only model of its kind. Like you would expect from a bike designed to be the ideal travel partner, it offers the best comfort and convenience of any 300cc model. More manageable in both weight and power, and more readily available than many larger-displacement models, the VERSYS-X 300 offers easy access to motorcycle adventure. A wide range of accessories are available: all the equipment necessary for comfortable long-distance riding.